WASHOE COUNTY, Nev. — The parents of a mentally disabled woman have adopted their granddaughter after the child was spared from abortion during a court battle that could have ended in the termination of the baby’s life. Bill and Amy Bauer are officially the adoptive parents of Cierra Marie, who was born in May of last year to their adopted daughter Elisa. In 2012, Elisa, who was 32 at the time but is stated to have the mind of a six-year-old, became pregnant. While some reports state that the woman had been preyed upon by a sexual predator, it is unknown as to whether or not she was raped as the woman had been sexually active. Because Elisa has mental disabilities and other physical ailments stemming from fetal alcohol syndrome, the Washoe County Department of Social Services went to the courts to force the woman to have an abortion since she and her parents wanted to carry the baby to full term. The Bauer’s were summoned to appear in court to answer why they did not want their daughter to abort. According to reports, the couple explained that they believe that life begins at conception, and that no matter how the child was conceived, to abort her would be murder. Guinsasso also argued that while Elisa would not be able to care for the baby herself, adoption is a viable option. He said that others were not so gracious. But in November 2012, Judge Egan Walker sided with Guinsasso and the Bauer’s, and removed abortion from the issues needing to be considered surrounding Elisa’s pregnancy. The case then turned toward the best care to provide to both mother and child in the months ahead. 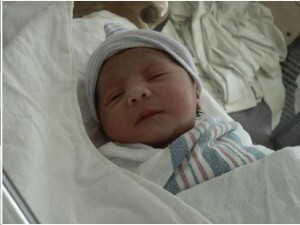 Last May, Elisa gave birth to a healthy baby girl, who was named Cierra Marie. Last Friday, Elisa’s parents, who adopted her years ago as a child, now also adopted Cierra Marie as their own.